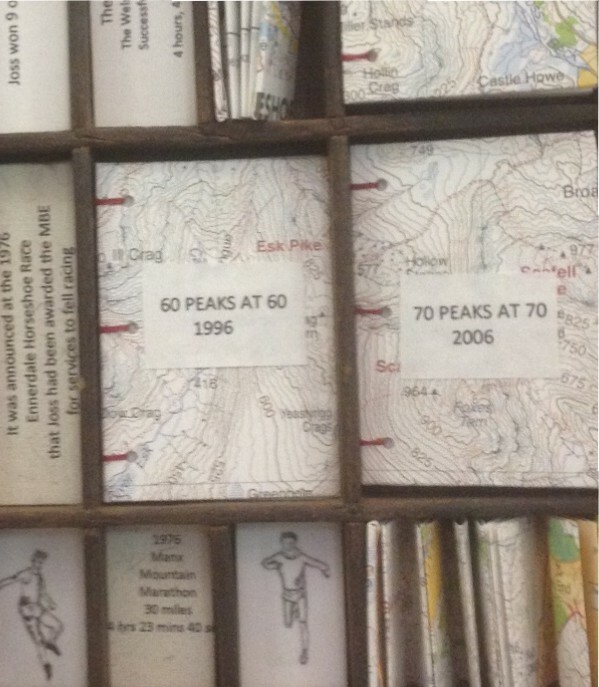 An exhibition about fell-running legend Joss Naylor has opened the eyes of running clubs to a great place to stay in the Lakes. Runners flocked to the exhibition at the Old School Room tea shop at Rydal Hall near Ambleside, which featured the work of Elizabeth Shorrock . The Hall’s grounds are familiar to everyone who’s run the Fairfield Horseshoe, but now they learn that the building itself would be an ideal base for races and for training weekends. 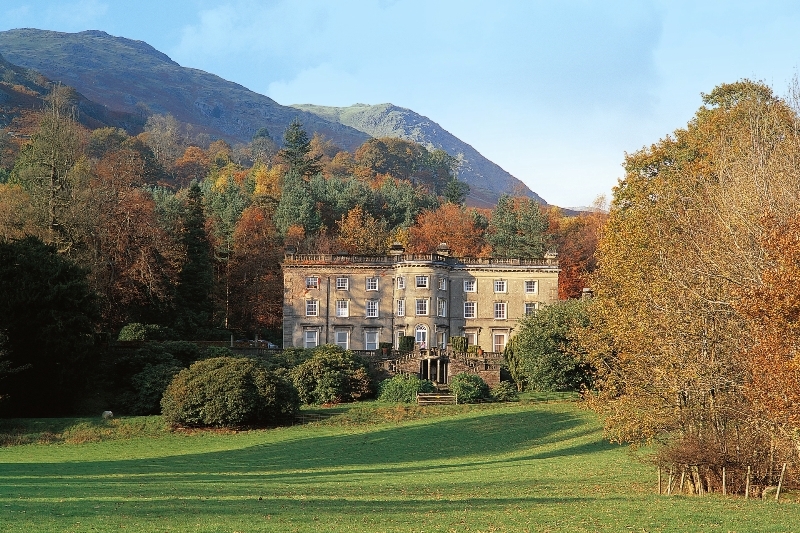 Rydal Hall with its 34 acres of gardens and woodland and built by the Le Fleming family is now a Christian conference, holiday and retreat centre. The hall has 30 bedrooms which can be let for conference use or on a daily bed and breakfast basis by holidaymakers – and runners or walkers – who want a real escape. There’s no TV in the rooms, but no religious expectation either; the team say that the ethos is of hospitality and welcome. “It’s a wonderful location” was the verdict of a running group from the Midlands who were doing a “recce” of the popular mountain race. One of the most magnificent buildings in the Lakes, Rydal Hall overlooks the formal Edwardian gardens designed by the garden designer, landscape architect and town planner Thomas Hayton Mawson (1861-1933) in 1911. The Italianate terracing includes herbaceous borders and lawns set against the imposing architecture of the Hall. This entry was posted in Uncategorized and tagged fell-running, Joss Naylor, Lake District, rydal hall on April 20, 2015 by Stagey Lady.